The path to success begins with this book. Don't miss it. Seriously. Grit succeeds where Outliers fails in unveiling the secrets of success. 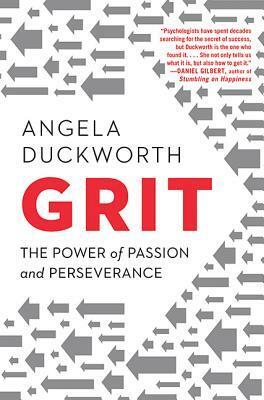 In a fascinating, compelling, and totally persuasive book, Angela Duckworth pulls together decades of psychological research to demystify the myth of innate talent and challenge our conventional wisdoms. The key to success comes in two simple words with great impact: passion and perseverance. This contrasts greatly with Outliers where Malcom Gladwell explains that success don’t rise from nothing, but from hidden advantages and extraordinary opportunities and cultural legacies. I found Grit more optimistic, while remaining convincing, and that is exactly what most readers need to reach a new peak. If you have a passion for something, Grit will inspire you and help you to stick it. Grit was an eye opening experience to me and it is definitively one of the most important self-help book published ever. As clearly illustrated by the author, the grittiness evolves over time and the most gritty persons are above 60. I wished I had this book with me during my study ten years ago. I have no doubt that I would have been much closer to expertise than I’m today. As I keep telling all my colleagues, sooner or later, you will ask yourself the questions answered by this book. You must read Grit, the sooner the better. The perfect introduction before more focused books such as Mindset or Peak!